Nose: dominance of dry fruits (almonds, fresh hazelnuts, nuts) and raisins. Mouth: very round and soft, in addition to the aromas of the nose, there is a hint of butter and cayenne pepper. It's a beautiful and elegant Fins Bois, typical of a chalky soil. 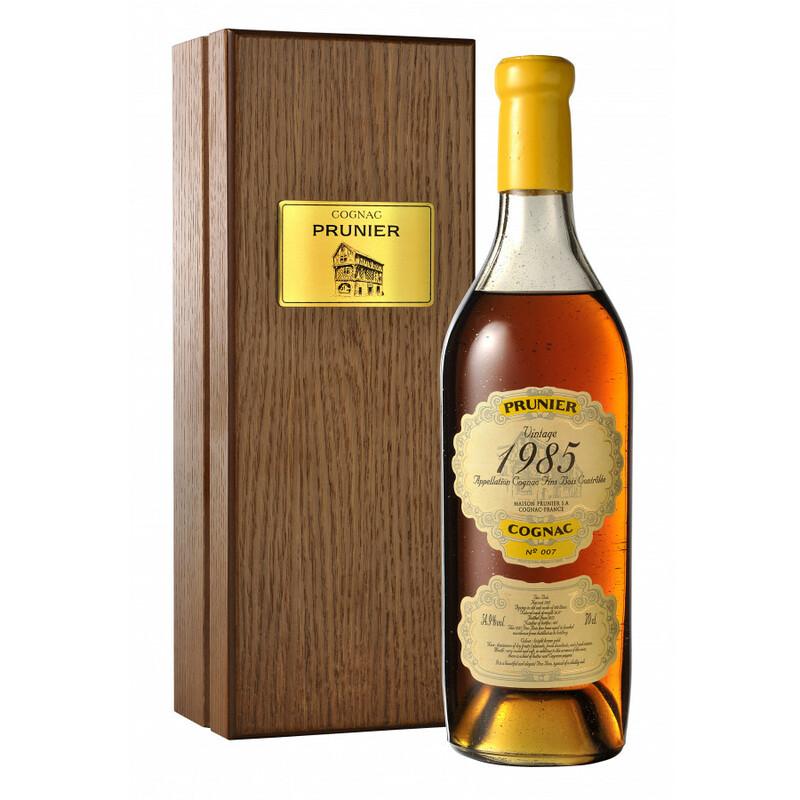 This Prunier Vintage 1985 Cognac has been produced from (as the name gives away), cognacs harvested in the year 1985. A natural cask strength delight at 54.9%, this Fins Bois cognac was bottled in June 2012.